City of Joondalup and Joondalup City RSL will host an Anzac Day dawn service at Joondalup War Memorial. THE City of Joondalup will host one of the biggest ceremonies of its kind in Perth this Anzac Day. 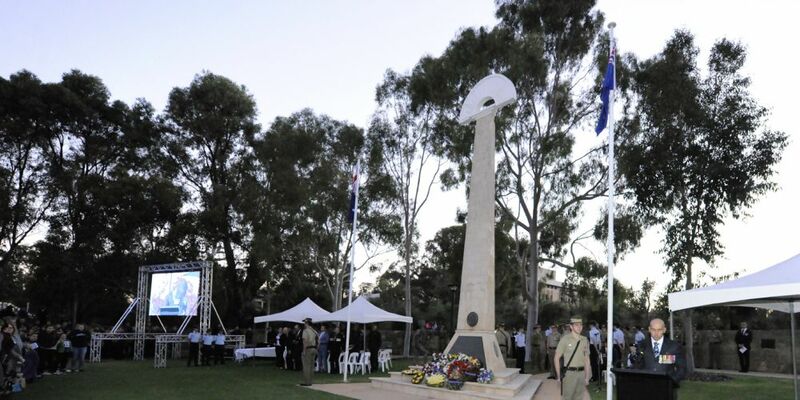 Hosted in conjunction with the Joondalup City RSL, the Dawn Service will be held at the Joondalup War Memorial in Central Park, Joondalup on April 25. Joondalup Mayor Albert Jacob said it was important to remember those who had made the ultimate sacrifice for their countries and continue to honour the special bond Australia and New Zealand share. “It’s heartening to see that generations on, the Anzac spirit is alive and well in cities like Joondalup where people from all age groups and backgrounds take time out from their busy lives for a day of quiet reflection. The service will include a wreath laying ceremony and free tea, coffee and biscuits will be served after. Attendees are asked to arrive no later than 5.45am for a 6am start. Parking will be free in the city centre on the morning of Anzac Day and there will be some road diversions on Grand Boulevard.